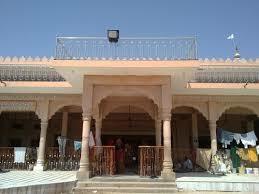 Here is Some Information about Chatur Das Ji Temple in Butati Near Naugaur District Rajasthan India. Nearest Railway Station: Metra Road Jn. 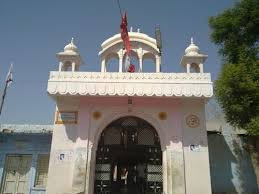 Shree Chatur Das Ji Temple is located at Butati Dham in Nagaur district in Rajasthan India.The temple was built about 200 years ago and built by Shri Chatur Das Ji Maharaj.Butati Dham is a famous dham of Saint Chaturdassji Maharaj and major place for paralysis patient because it is believed that if the patient offers seven Parikarma in seven days, he recover from the paralysis.Butati Dham is a wonderful place and hope for paralises patients.Every Day 200 Patients come here and take blessing to Chatur Das Ji maharaj. 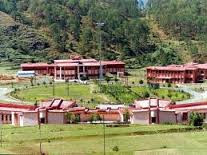 There is no medicine here.You need to stay for 7 days from the day you arrive there. 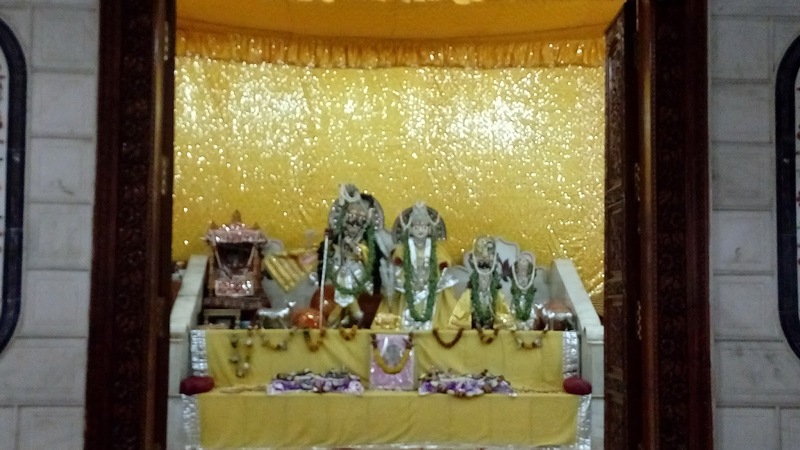 Everyday two times the patient needs to attain the Aarti(Prayer)at the temple. Thats it. 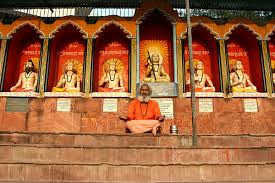 Its all faith and believe on god Chaturdasji Maharaj.People see lots of improvement after 7 days stay. Temple has few rooms to stay. Its free of cost.Its based on first come first serve. No advance booking. They also have open space Hall outside. 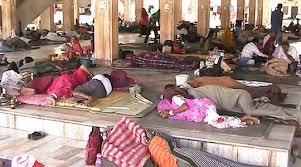 Dependents of paralised man can stay in room nearby temple without fare and also can get other help from commite of temple.Temple management provide all items for cooking free. 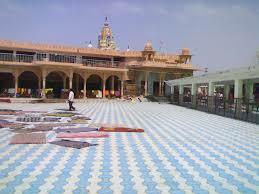 You need to prepare the foods.Or You can see few small hotels beside temple you can take food there. The Story about Saint Chaturdar Ji Maharaj. 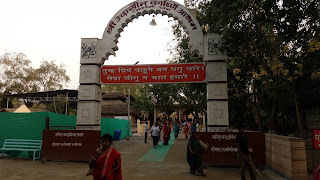 Both Chaturdar Ji Maharaj and Gangadas Ji Maharaj are reals brothers. Both went on pilgrim and found gift from god being happy that Shri Chaturdar Ji Maharaj will help to people who got paralise and Shri Gangadas Ji Maharaj help those people who got bite by dog. By Air : The nearest airport is Jaipur. 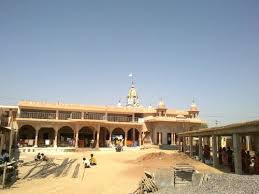 you will get direct Bus from Jaipur to Butati. It will be 5-6 Hr. 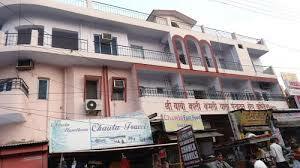 By Rail : The nearest railway station is Metra Road Jn (MTD).From Merta Road you can get private taxi-jeep. 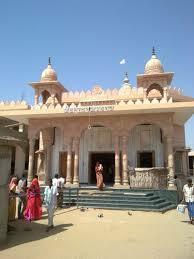 It will take 1 Hr from Merta Road to Butati.. You can also catch train from Chennai to JAipur. And then Jaipur to Butati via Taxi or Bus. Train no 2967 & 2969 (Jaipur Express) from Chennai. 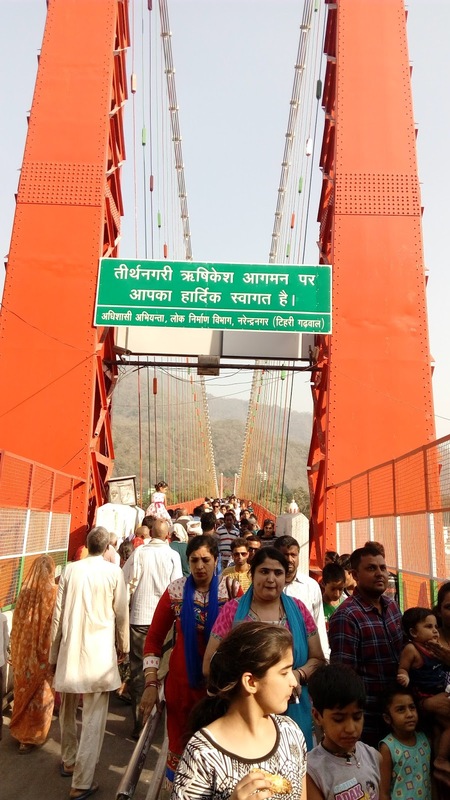 By Road: There are many public and Private Vehicles available to reach Chatur Das Ji Maharaj Temple Butati Dham. 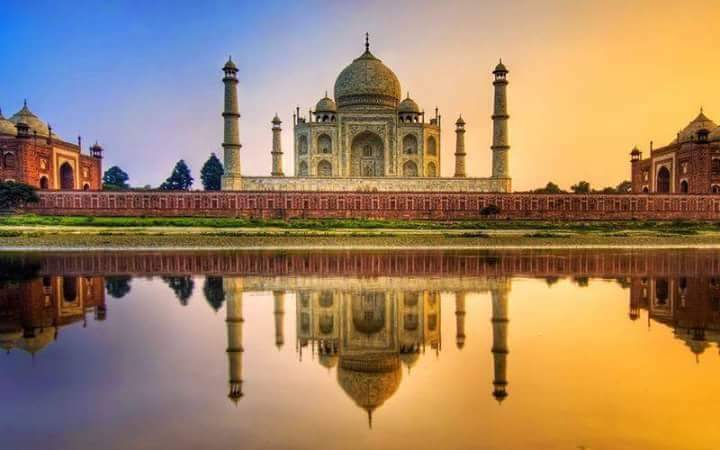 Taj Mahal, "the epitome of love", is "a monument of immeasurable beauty" in the world.The Taj Mahal is the epitome of Mughal art and one of the most famous buildings in the world. 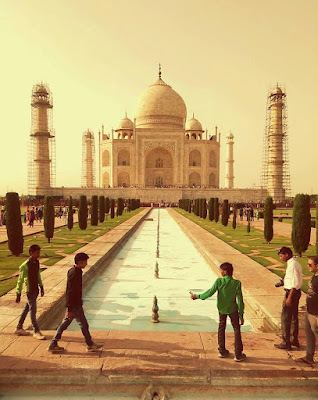 Here is Some Information about Wonder of the World Taj Mahal. 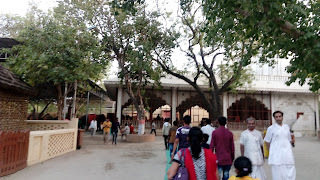 Taj Mahal is among one of seven of the world is located on the banks of river Yamuna in Agra Uttar Pradesh.Taj Mahal is built in start about 1631 and completed in 1653.Taj Mahal was built in 22 years with the orders of Shah Jahan and it was dedicated to Mumtaz Mahal (Arjumand Bano Begum), the wife of Shah.Standing majestically on the banks of River Yamuna, the Taj Mahal is synonymous to love and romance.The purity of the white marble, the exquisite ornamentation, precious gemstones used and its picturesque location, all make a visit to the Taj Mahal gain a place amongst the most sought-after tours in the world. 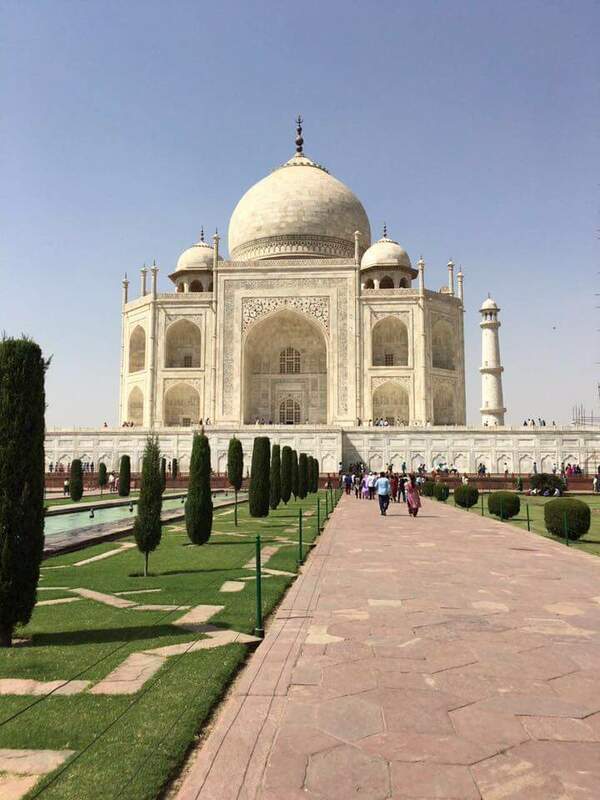 The name "Taj Mahal" was derived from the name of Shah Jahan's wife, Mumtaz Mahal, and means "Crown Palace". 20.000 workers labored and 32 crore rupees were spent during the construction of the monument and it was built according to Islamic architecture.The main tomb of the Taj is basically square with chamfered corners. 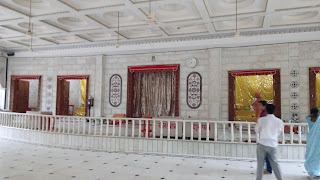 The minarets here are detached, facing the chamfered angles (corners) of the main tomb on the main plinth. Red sandstone mosque on the western, and Mehman-Khana on the eastern side of the tomb provides aesthetically a clear colour contrast. 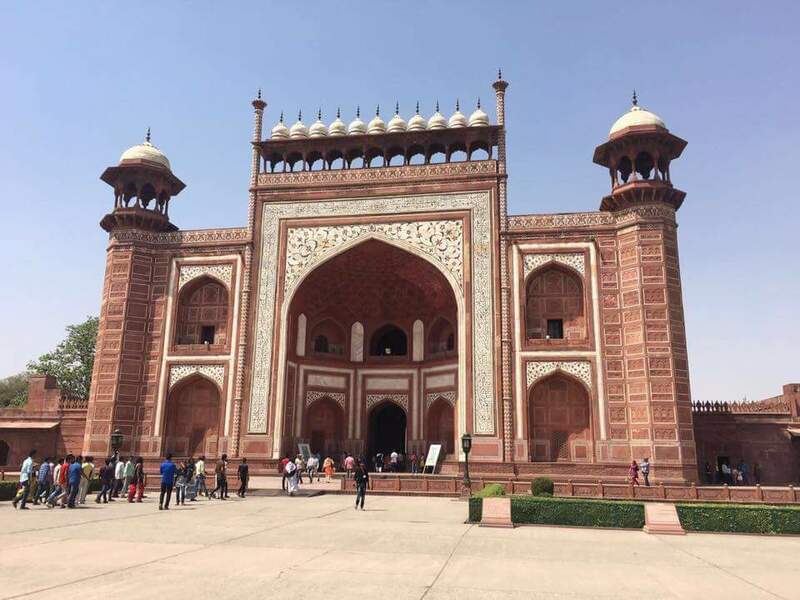 Audio Guide: Audio Guides Facility in English, French, Spanish, German, Italian, Hindi, Tamil, Telugu and Bangla is available at TajMahal. Please contact near Ticket Booking counters and Forecourt. By Air: The Agra City has its Own Airport , The Nearest Airport is Agra that is around 7 km. By Rail: The Nearest Railway station is Agra station.you take auto and texi from station to Taj Mahal.Major city connected to Taj city Agra Railway station. By Road: There are many Public and Private vehicles available to reach Taj Mahal Agra. The Nearest City is Delhi about 204 Km, Jaipur 200 Km, and Gwalior 120 Km. 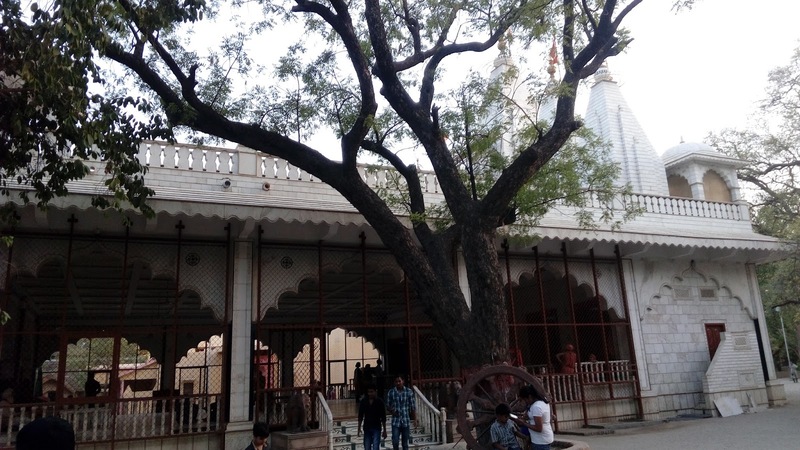 from Taj City Agra.You can easily get taxi, tempo, auto-rickshaw and cycle rickshaw in the city that will take you to your destination. 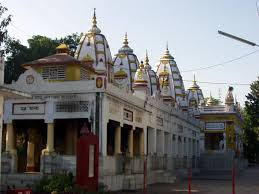 Prepaid taxis and tempo, auto-rickshaw and cycle rickshaw are also available if you want to visit the various places near the city. 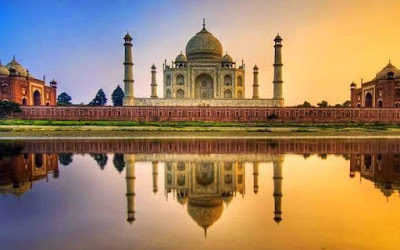 Since diesel and petrol vehicle are not permitted in the area of Taj Mahal , you can find battery-operated buses, horse-driven tongas, rickshaws and other pollution-free vehicles there. 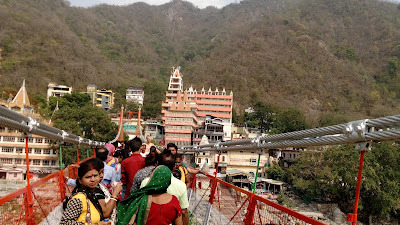 Here is Some Information about Baba Kali Kamli Wale Temple(Ashram) Chettar Rishikesh Uttarakhand India. Baba Kali Kamli Wale Temple(Ashram) is Very nice location with good surroundings.The Heaquaters of this older institute is at Rishikesh and office of the Trust governing this institution is at Calcutta.This institution has been founded by Shri Baba Vishuddha Nand Ji and it has serveral branches at many stations of piligrime in Uttarakhand on the way to kedarnath, Badrinath, Gangotri and Yamunotri. 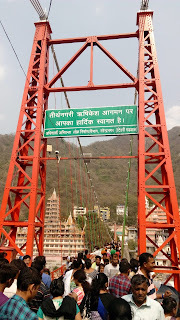 Baba Kali Kamli Dharamshala in Rishikesh .Baba Kali Kamli Dharamshala Rishikesh is located at Haridwar Road (NH-58), Mayakund, Rishikesh, India.A Part from the above facilities, the Chettar institute has erected Atam Vigyan Bhavan where several cottages are built for one lodging of the ascetics and mendicants who have been leading pious lives. By Air : The Nearest Airport is Jolly Grant Airport in Deharadun Airport. 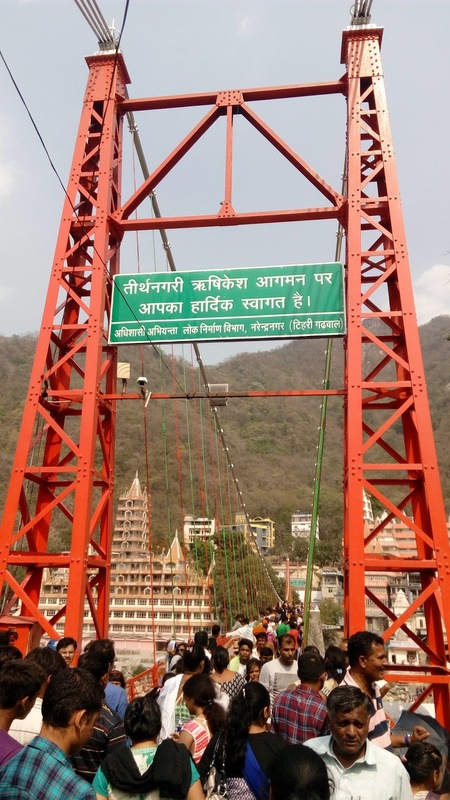 By Rail : The Nearest Railway station is Rishikesh Railway station and Haridwar Railway Station. 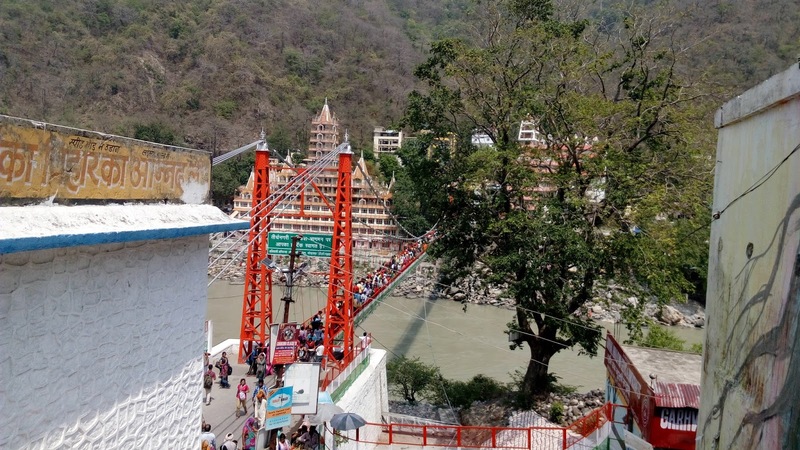 By Road: There are many public an Private vehicles available to reach Baba Kali Kamli Wale Temple(Ashram) Chettar Rishikesh. Saptarishi Temple or Saptarishi Ashram is located at 5 km of Haridwar at the bank of Holi river Ganga.Saptarishi Ashram or Saptarishi Temple was once a meditation center for seven sages. Kashyapa, Vashisht, Atri, Vishwamitra, Jamadagi, Bharadwaja and Gautam are the seven sages.Here is Some Information about Saptarishi Temple (Ashram) in Haridwar. The inauguration of Saptarishi Ashram was performed by late Dr.Rajendra Prasad , the President of India ,during his presidency.Far in the jungles of Sapt Sarovar in the north direction of Haridwar just 5 Km of the City, this hermitage has been situated on the banks of the Ganga River.The Sanatan Dharma sabha of Punjab has supervised the construction of seven hermitages devoted to seven sages(Saptarishi) of pauranic age.These hermitages have artistically beenbuilt with application of structural beauty. 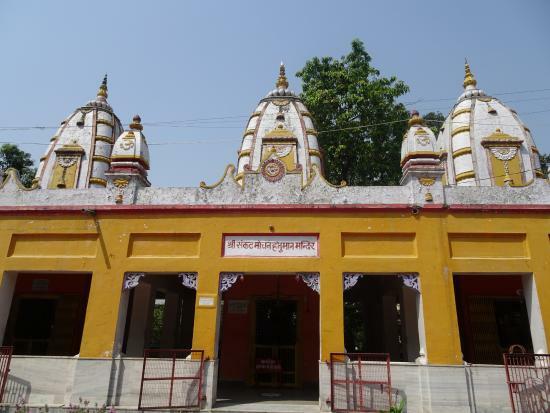 Again you will find here a temple of Lord Shiva in the center of these Ashrams, augmenting the beauty and sanctity of this place where a school of Sanskrit language is being conducted by Sanatan Dharam Sabha.It is said that the Ganga had split herself in seven currents at this point so that the sapt(seven) Rishis worshiping there would not be disturbed. 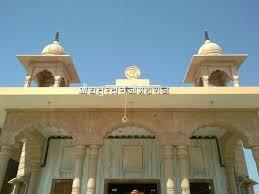 Shaptarishi Ahram also a Sanskrit college after the name of Jagdev Singh. Besides it also has a `Kirti Stambh' and a hostel having a capacity of 100 students. 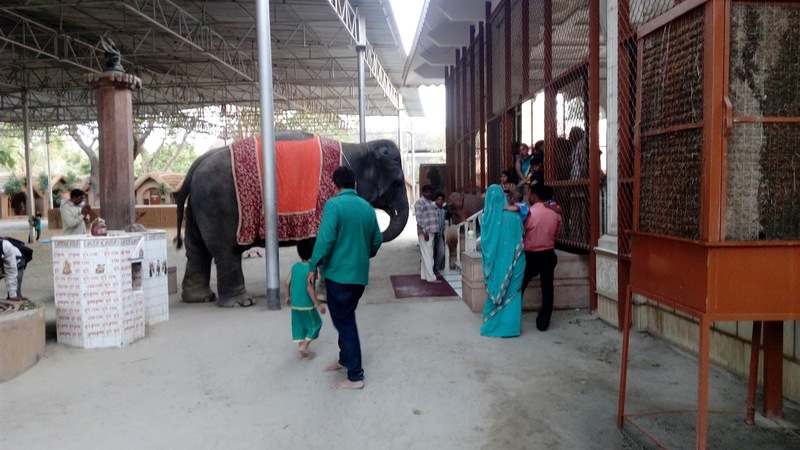 The Ashram provides residential and food facilities to these students free of cost. 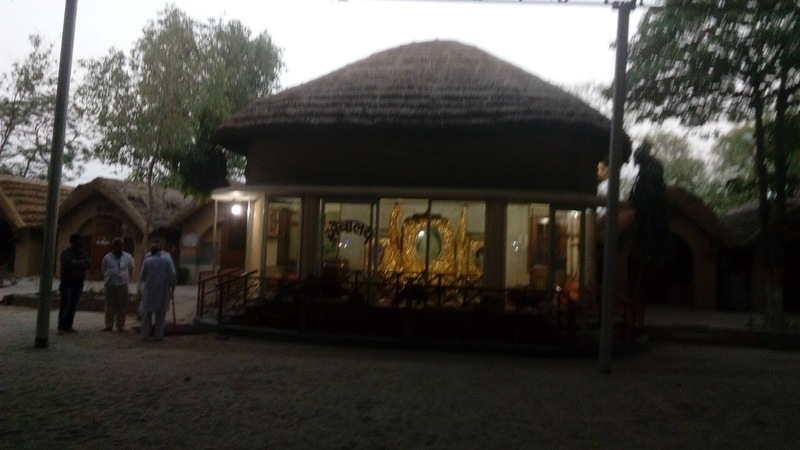 The Ashram has 44 cottages for the accommodation of devotees. 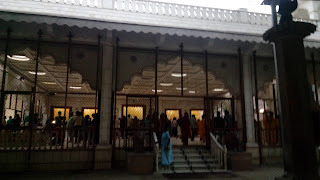 It also runs a food zone where food is provided to about 300 saints every day. By Air : The Nearest Airport is Jolly Grant Airport in Deharadun Airport(33 Km). 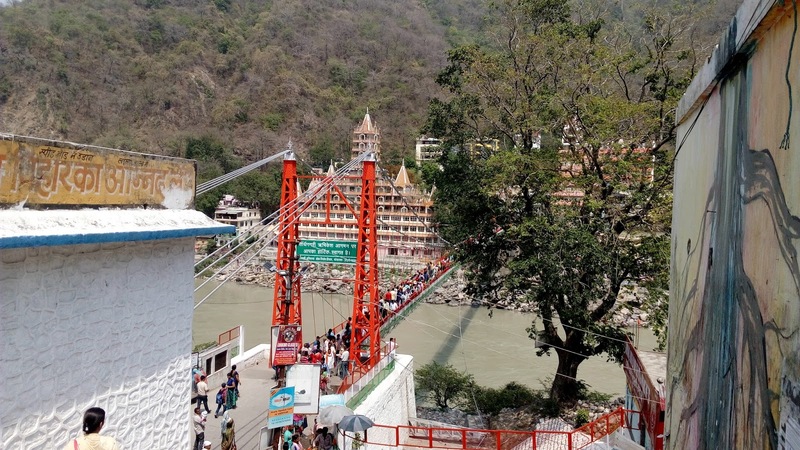 By Road: There are many public an Private vehicles available to reach Shaprishi Ashram Temple in Haridwar. 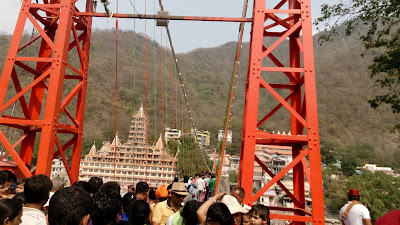 Here is Some Information about Bholagiri Temple(Ashram) in Haridwar Uttarakhand India. Bholagiri temple is located near Birla Ghat in Haridwar Uttarakhand India.This big temple in Haridwar which is on the Bholagiri Road.This Ashram is a for hermits and sages While having a round to the temples, they stop here for some time and watch the solitary lives of the hermits and sages. 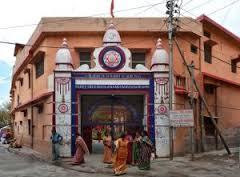 Bholagiri Ashram has been founded in 1939 by his Holiness Mandaleshwar Swami Bholananda Giri as Bhola-nanda sanyas Ashram which a huge red mansion having temples and shrines of Shri Bholagiriji, Shankaracharya and Mahavirji, Saints, sages and righteous devotees lead their lives in meditation and penance at this solitary place.In this Bholagiri temple, the gods enshrined are daily worshipped by devotees and hymns from the Vedas and Upanishads are sungs by saints and sages. There are eighty rooms with attach Bathrooms available to stay in Ashram.Ashram provide two time vegetarian meals.Aarti and Bhajan Kirtan and Some time a Special Occasions arrange Bhandara by Ashram.Many devotes visit and stay in this Ashram.Very beautiful and shiny atmosphere in this place. By Air: The Nearest Airport is Jolly Grant Airport Dehradun(33 Km). By Rail: The Nearest Railway Station is Haridwar Railway Station. 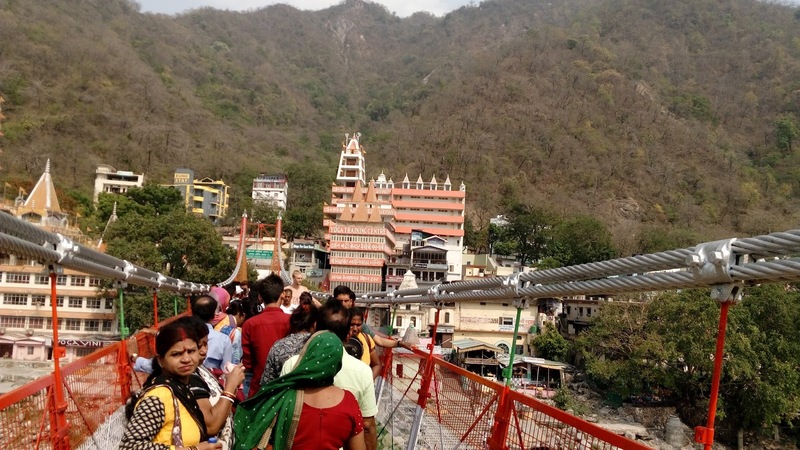 By Road: There are many Public and Private vehicles available to reach Bholagiri Temple(Ashram) in Haridwar. 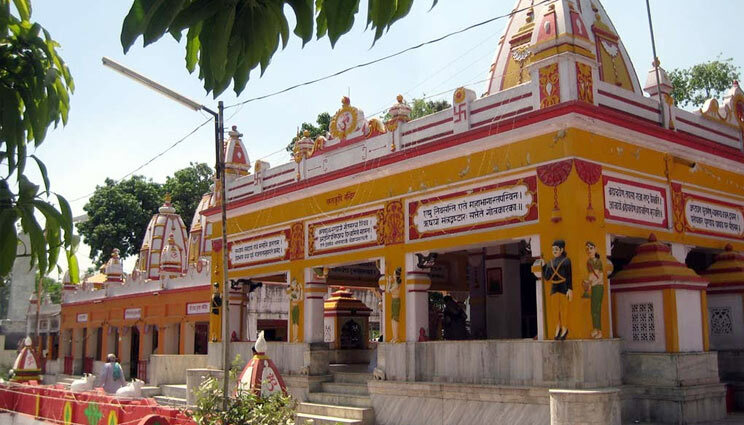 Shri Krishna Radha Temple is in Raman Reti near Shri Krishna Childhood land Gokul approximate 2 Km far.Radhe Krishna is best and ancient temple of Raman Reti.Here is Some Information about Radhe Krishna Temple Raman Reti Gokul Uttar Pradesh. 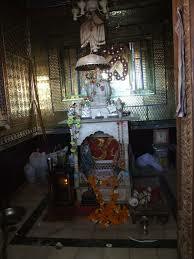 Raman Reti is the sand in which Lord Krishna played as a child. 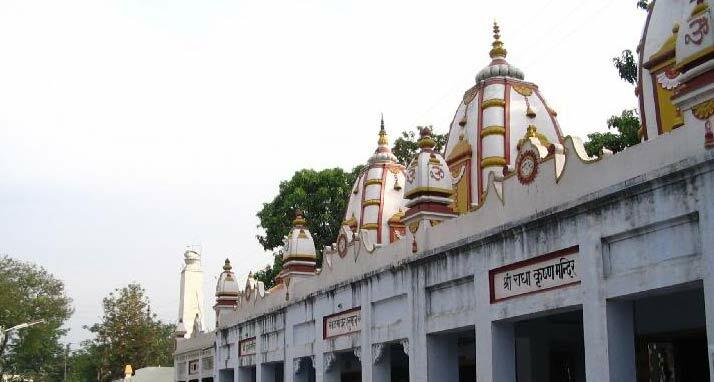 In more recent times, about 200 years ago, the famous Saint, Swami Gyandasji did a severe penance at Raman Reti for 12 years. 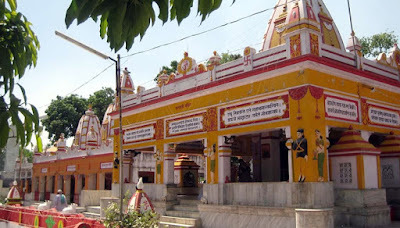 Pleased with his devotion, The Lord appeared before him and today you can find a Ramanbihariji Mandir at that spot.Radhe Krishna Temple is most faimous and best temple of Raman Reti.It is also said that Krishna and Radharani would meet here every night, before going to Vrindavana to enjoy Their pastimes here. 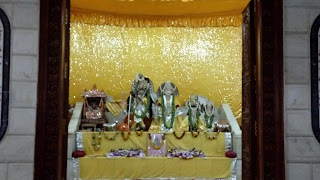 In Radhe Krishna Temple Aarti time large no of people presents.One Elephant blessing all people.Whole day Bhajan Kirtan and music play in this temple and devotes dance with this music.A big Ashram and Gurukul in Radhe Krishna temple compound.A Deer Century headlining by Radhe Krishna Temple.Every day temple arrange dinner and lunch by devotes.Lot of devotees roll over the sand here and see the blessings of Lord Krishna.Lord Balram temple and Shiva temple also near Radha Krishna Temple. 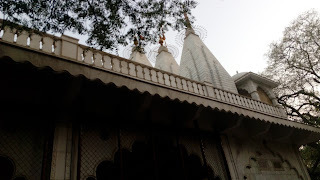 Besides the temples, there is a residential area for ascetics and sages. 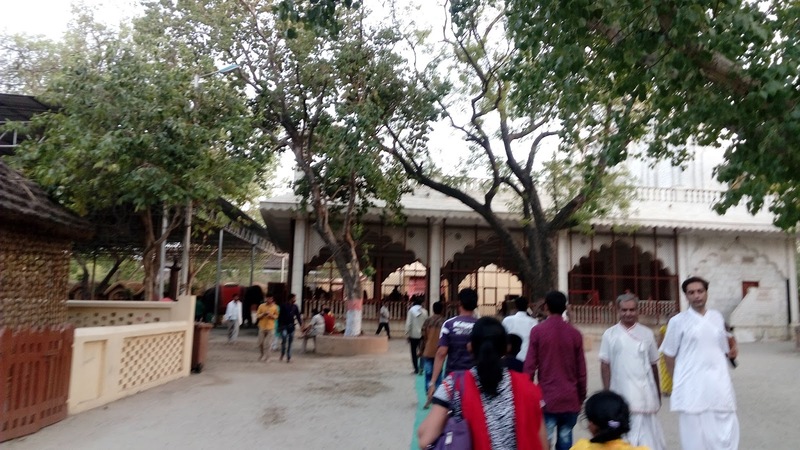 The entire setting has a rural village feel with cottages and trees and the peace this place exuded was remarkable and Dharmashala also available in temple compound. 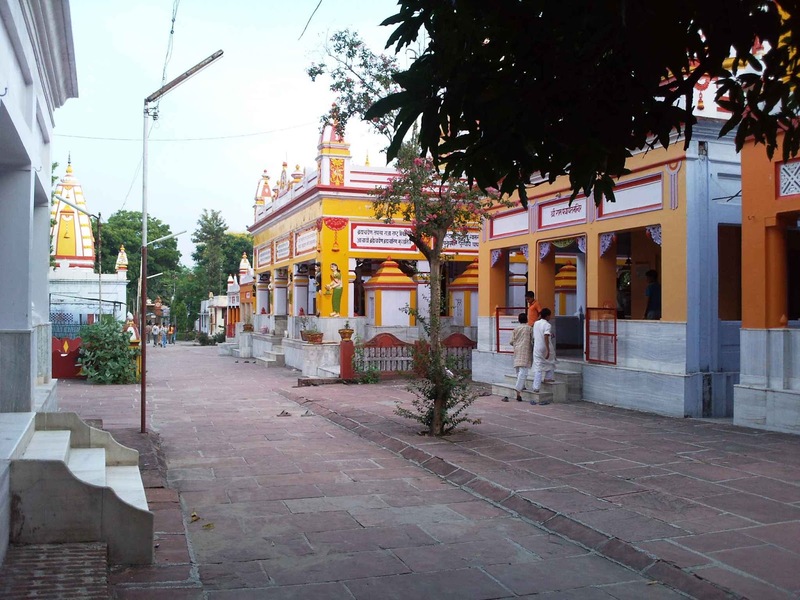 By Road: There are many public and private vehicles available to reach Radhe Krishna Temple Raman Reti.You can easily reach from Gokul. By Rail: The Nearest Railway station is Mathura Station. 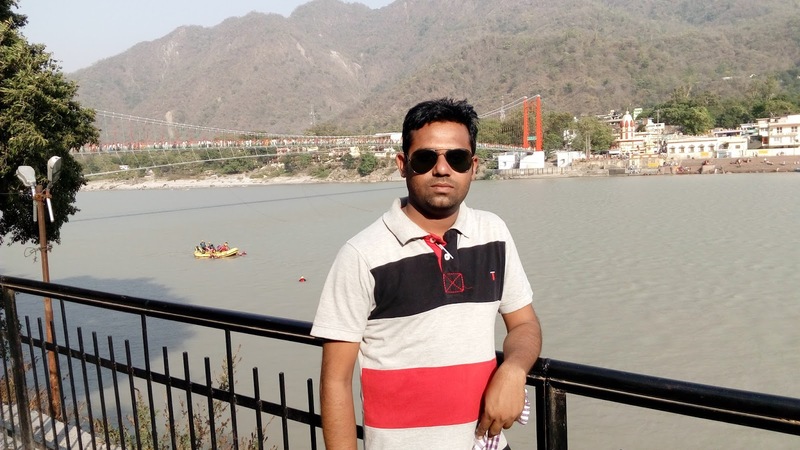 By Air: The Nearest Airport is Agra Airport. 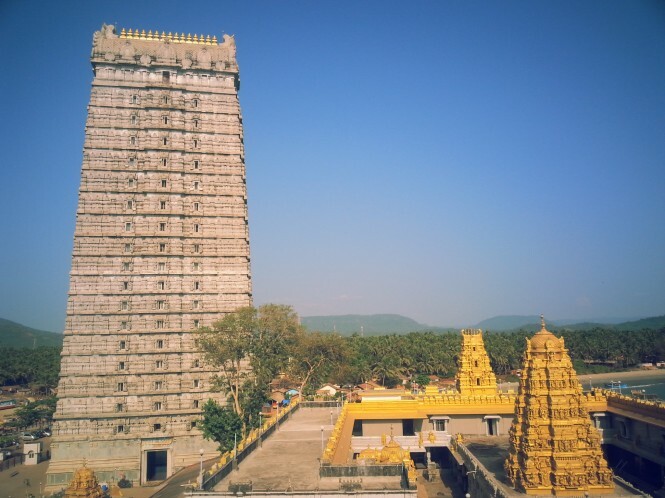 Murudeshwara temple is a amezing and wonderful example of indian architecture.Murudeshwara Temple is world renowned for the 123-feet Lord Shiva statue and a modern Rajagopuram or tower at the entrance of this ancient temple. 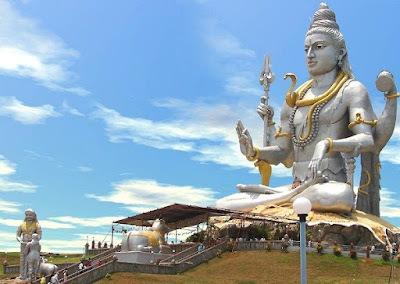 The temple is surrounded on three sides by the waters of the Arabian Sea, and from the hilltop the scenic landscape that unfolds in front of our eyes is breathtaking.Here is Some Information about Murudeshwara(Shiva) Temple in Kanduka Hill Murudeshwara Karnataka India. Murudeshwara (Shiva) Temple is located at Murudeshwar town Kanduka Hill in Bhatkal Taluka of Uttara Kannada district in Karnataka.Murudeshwara temple is dedicated to Lord Shiva.The statue of Shiva here is the world’s tallest (as claimed) and it lies on the coast of the Arabian Sea.Murudeshwara Temple is world renowned for the 123-feet Lord Shiva statue and a modern Rajagopuram or tower at the entrance of this ancient temple.The 20-storied Gopuram is called Raja Gopuram which is approximately 237.5 feet tall.The idol is designed such that it gets the sunlight directly and thus appears sparkling. Originally, the statue had four arms and was adorned in gold. 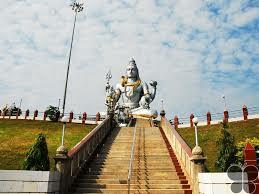 According to the legend, Ravana brought the Atma Lingam from Mount Kailash. Lord Ganesha using his trick fooled Ravana on his way to Lanka and put down the Linga on the ground at Gokarna. Angered by this, Ravana tried to uproot and destroy the Linga. 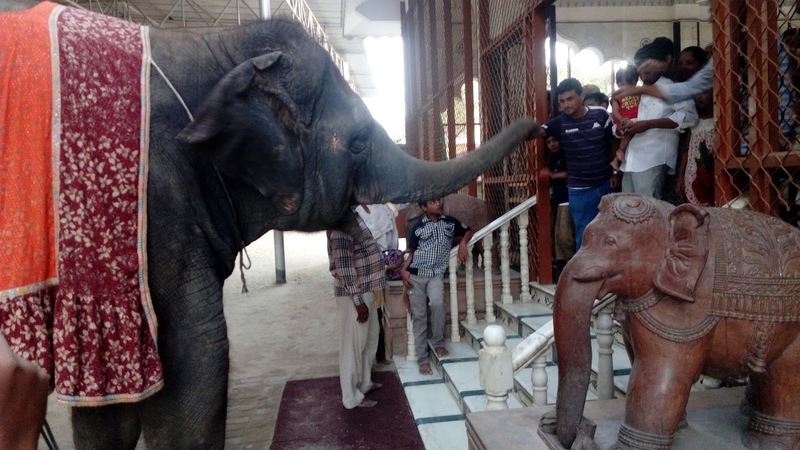 The broken pieces of the lingam were cast away. 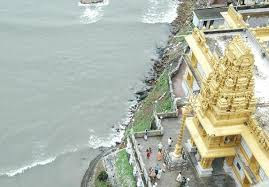 The covering cloth of the lingam fell at Kanduka Giri and the Murudeshwar temple was built at the site.Large Number of people visit this temple every day. 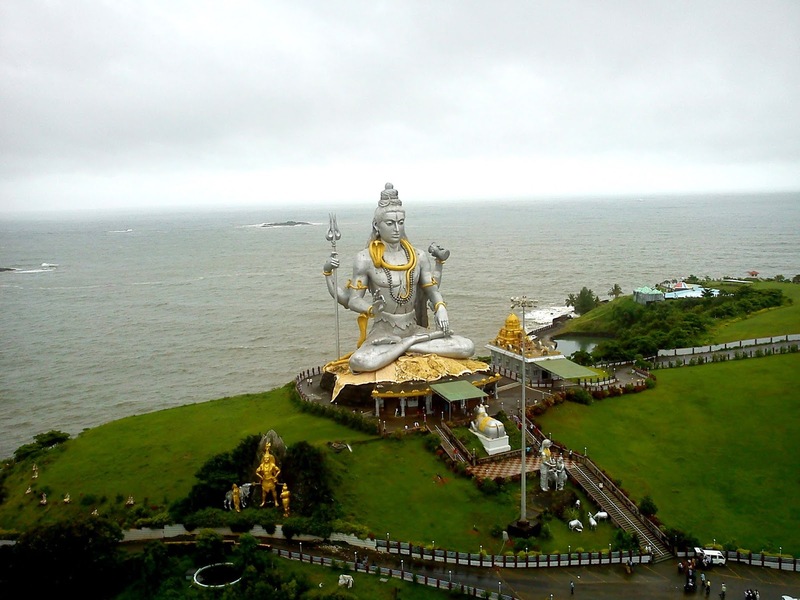 One of the popular tourist attractions of the Murudeshwara town, Murudeshwar beach is a great place to spend time with family and friends. 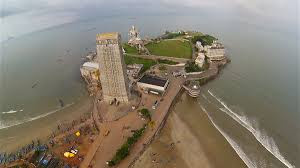 It is a clean beach and offers great view of the sunset.The fort is near the Murudeshwar Temple and is believed to have been built during the Vijayanagara period.A fort present behind the temple is said to have been renovated by Tipu Sultan. 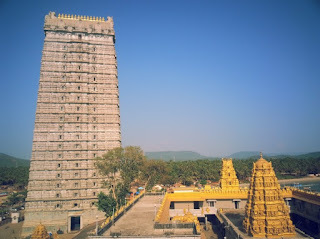 including the 249 feet tall Raja Gopura, which is considered the tallest gopura in the world. 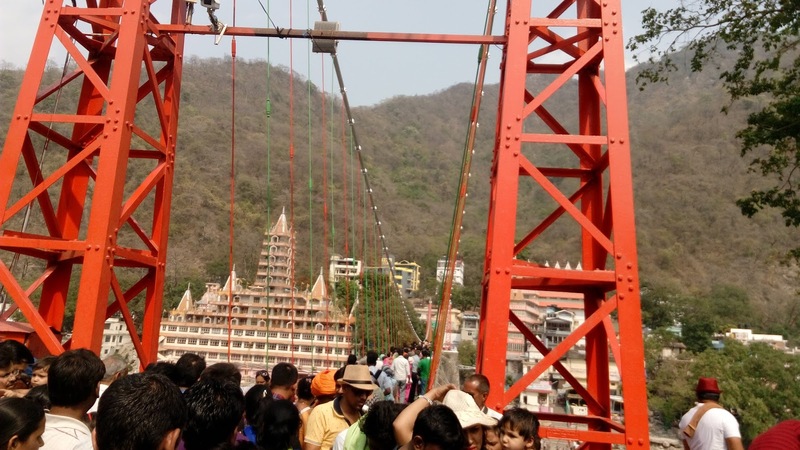 Maha Shivratri Festival grand celebration in February or March month and Kartik Purnima Festival Celebration in Murudeshwara Shiva Temple.Large numbers of people take part in festival. 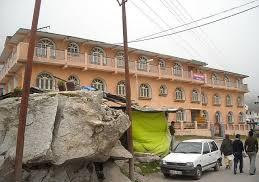 The Nearest Hotels is Mid-range hotels and RNS Residence to good and best near Bus stand to stay, and Best Restaurants near National Highway and near Murudeshwara Beach.There are also a few fast food joints near the railway station that serve Chinese and Punjabi dishes. 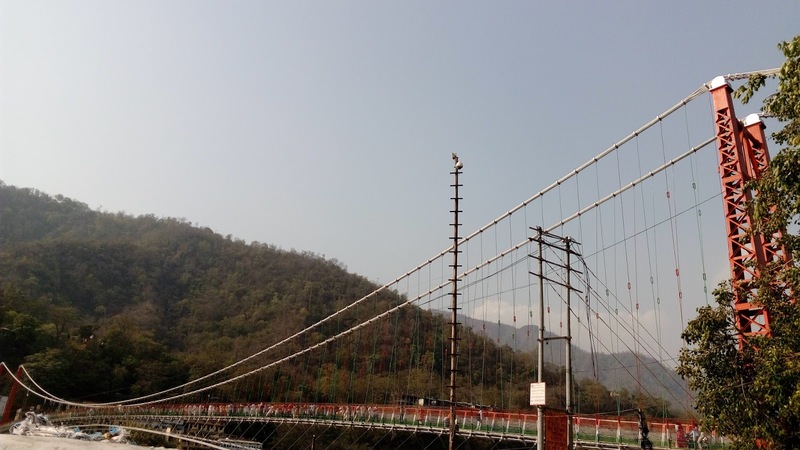 Non-vegetarian food is also available in many eateries near the railway station and Murudeshwar bypass. 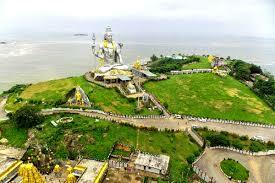 By Air: The Nearest Airport is Mangalore and Goa Airport.Mangalore Airport is 162 Km from MurudeshwaraShiva Temple. By Rail: The Nearest Railway Station is Murudeshwara station.Murudeshwara station lies on the Konkan Railway. 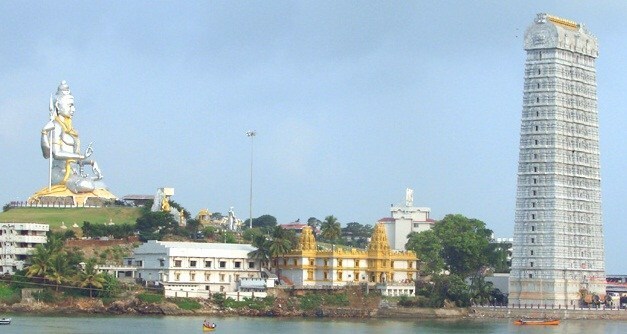 Some trains from Mumbai and Mangalore stop here. 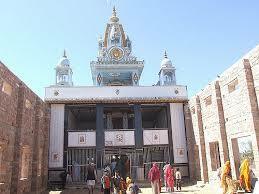 To reach from Bangalore on has to take train to Bhatkal station. 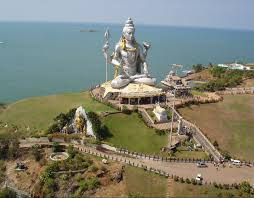 By Road : There are many Public and Private transport available to reach Murudeshwara Shiva Temple Karnataka.Bangalore City is 455 Km far Murudeshwara Shiva Temple.You can By KSRTC Bus Murudeshwara Shiva Temple.